YOU ARE AMAZING. You need to hear that, but more importantly you need t believe it. Being away from your babies so much isn’t always an easy thing, and in fact, it’s the hardest. 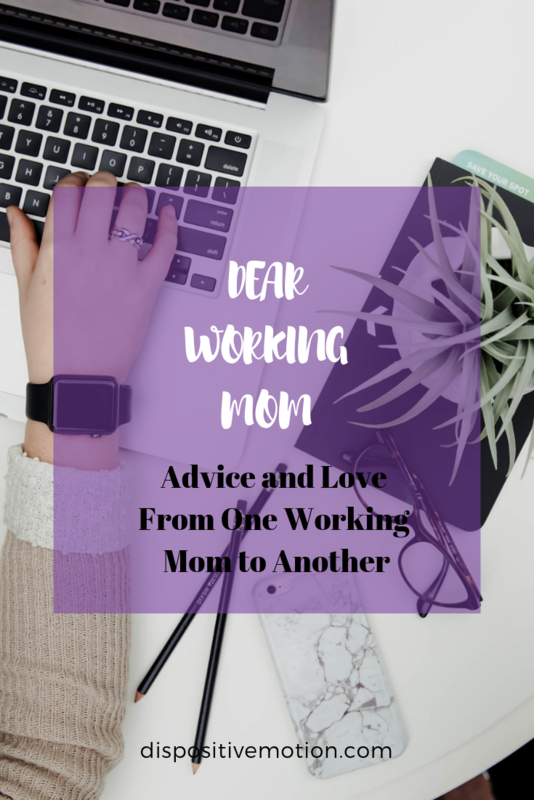 But, I see you and I get you, Working Mom because I am you. The “Mom Guilt” you feel is real. I feel it, too. Do my daughter know I love her? Doe she see me enough? Do I provide her enough time and attention? Am I doing the right thing for her? You’re not alone, Working Mom. The workforce is full of women like you—strong, determined, hard working mamas who provide for their families and perhaps even enjoy themselves along the way. I know sometimes it feels like you can’t win. You feel like if you succeed at work, you’re failing at home. Like everything you do away from your kids outside of work becomes a choice between that and seeing your kids that day. You wish you had more “me” time other than the short or long commute to and from your job. You long for more time with your kids while simultaneously wishing it was their bedtime so you can wash the dishes, pick up the toys, prepare for the next day and go to bed yourself. You are on the go from the time you wake up until the time you fall into bed. You wish days were 36 hours instead of 24. I know that working isn’t always a choice. 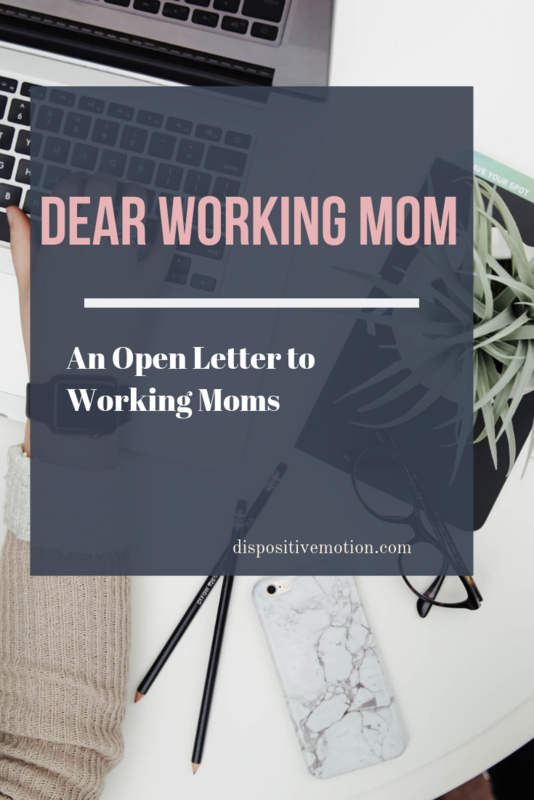 For some of you it is – some of you know that being a SAHM is not your calling—that working away from home actually makes you a better mom with no regrets. I respect that. That’s me. Women should be allowed to have a career and a family. And there should be no shame in that at all. But, I also know many of you working moms did not choose to work, but rather have to work. I know this makes it harder – you feel stuck. You wish for something different – for some way to pay your bills, see your kids, and be more content and maybe find 5 minutes to do your nails or pee by yourself. You’re not alone. You’re not alone at school drop-offs in the morning, praying there isn’t an accident on your way to work, making you late—again. You’re not alone when you use your precious vacation time to stay home with your babies when they’re sick. You’re not alone when you’re heartbroken while sending them to school sick because you don’t have any vacation time left to use. You’re not alone when you don’t want to go out with friends or even have a date night on the weekends because it means even more time away. You’re not alone when you bring the store-bought cupcakes for the class party because you have zero time or will to make them yourself (but this is actually a victory because your kids are just happy that you remembered). You’re not alone when you have tears in your eyes at morning drop-off when your littles don’t want you to go. I see you when you have spit up on your clothes, carting your breast pump and milk back and forth, and drinking your umpteenth cup of coffee just to get through the day.. I see you when you click on every photo daycare sends because even though she kept you up all night, you miss her face. I see you as you cry yourself to sleep because you missed her first steps while on your business trip. I see you as you feel like a failure because you want so badly to witness every milestone. I see you as you question every decision, wondering if you’re doing enough, if you are enough. You are enough! I feel you as you struggle to find time to buy groceries, cook dinner, wash the dishes, clean the house, do the laundry, run the errands, and basically keep your house running in addition to working, commuting, and spending quality time with your kids. I feel your exhaustion as you’re struggling to physically and mentally relax because there’s always something to be done. And a mother’s work is never done. You know that better than anyone. Mama, you’re building the world for your babies. You—you are shaping who they will become by setting the example that it is possible to have both. You are showing them that while sometimes difficult and seemingly impossible, you can have both a career and a family. You’re a world builder, their world builder. Yes, there are sacrifices along the way, but your kids know you love them and they’re learning from you every single day. And one day they’ll know that even if you’re doing it because you want to at the end of the day you do it all for them. I see you. I feel you. You are not alone. I am you.